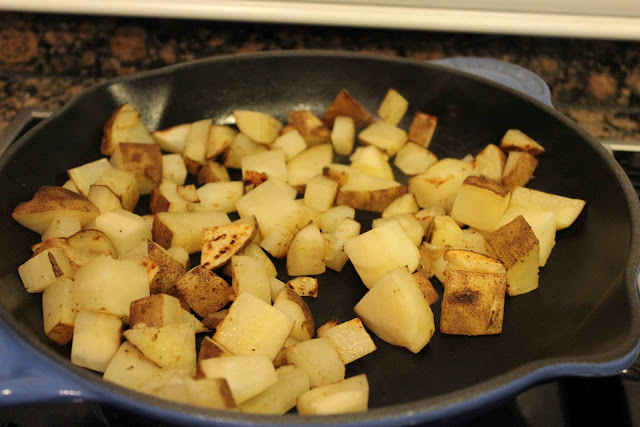 Saute potatoes in skillet over medium heat for 8-10 minutes. 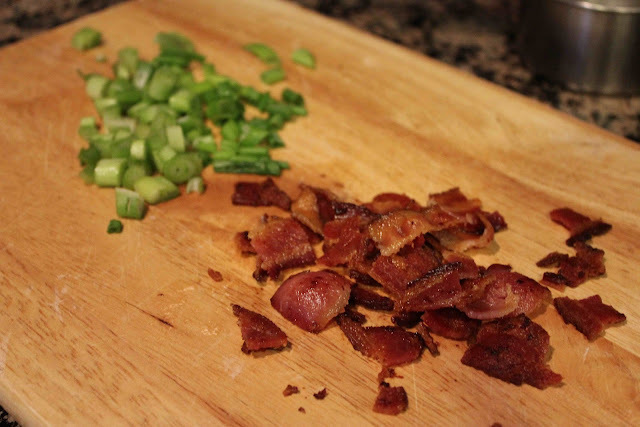 Chop scallions and cooked bacon. 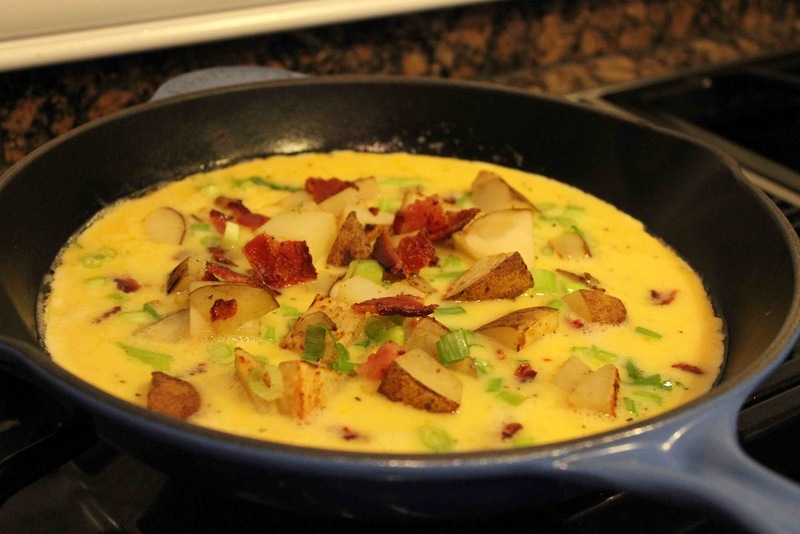 Pour egg mixture into hot skillet and sprinkle scallions, potatoes, and bacon on top. Place skillet in oven and bake for 6-8 minutes. 3. Cook potatoes over medium heat, 8-10 minutes, until tender and brown. Remove from pan. 4. Beat eggs, milk and 1/2 tsp salt, and 1/4 tsp pepper in a bowl. 5. Pour fat out of pan. Add butter – melt it on low. Pour in egg mixture. 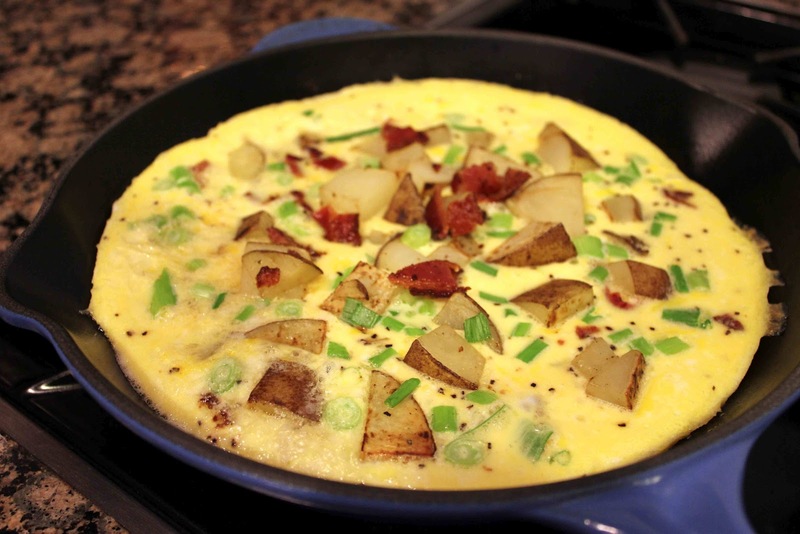 Sprinkle bacon, potatoes, green onions, and cheese on top. 6. Place in oven for 5-8 minutes. Do not overcook, or eggs will be rubbery.